The Kershaw Zero Tolerance military knife model 0100 has a recurve shaped blade that is designed for minimal mass. The point of the knife is centered perfectly for piercing, and its CPM3V tool steel construction prevents against chipping and breaking from impact. A tungsten dlc coating has been applied to the blade to give it a non-reflective look while reducing friction and corrosion. The handle is made of 3D machine G10 for maximum grip even in wet conditions. 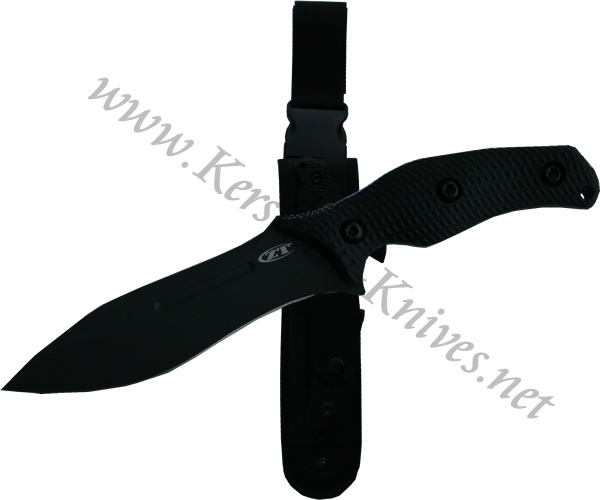 A sheath is included that allows you to mount the knife in a variety of different configurations.